VATICAN CITY, 23 NOV 2010 (VIS) - This morning in the Holy See Press Office, a press conference was held to present a new book published by the Vatican Publishing House. The volume is entitled: "Light of the World. The Pope, the Church and the Signs of the Times. A conversation of Benedict XVI with Peter Seewald". The conference was presented by Archbishop Rino Fisichella, president of the Pontifical Council for Promoting New Evangelisation, and the journalist Luigi Accattoli. Also present were Peter Seewald, who conducted the interviews with the Pope, and Fr. Giuseppe Costa S.D.B., director of the Vatican Publishing House. [...] For his part, Luigi Accattoli suggested his journalist colleagues should "read this book as a guided visit to the papal workshop of Benedict XVI and to the world of Joseph Ratzinger. ... Above all we will see this man who was called to become Pope in the same perspective as when he published the two volumes on Jesus of Nazareth, which he presents not as documents of the Magisterium, but as testimony of his own search for the face of the Lord". [...] In this book, Accattoli continued his explanations, the Holy Father "dedicates ample space to the conflict between the Christian faith and modernity. However, in at least two passages he recognises 'the morality of modernity' and the evidence of 'a good and just modernity'. These positive affirmations should be read alongside passages in which he recognises the religious crimes of the past: from the 'atrocities' committed 'in the name of truth' to 'the wars of religion', and that 'rigorism' towards corporeity which was used to 'frighten man'. In the conflict with the modern world, then, it is necessary to ask 'in what is secularism right' and where 'should it be resisted'". 1. Light of the World is non-Magisterial (we already knew that, of course, but I'll keep that quotation for future reference). 2. The Holy Father speaks of unnamed "'atrocities' ... committed 'in the name of truth'" and thinks that "[i]n the conflict with the modern world, then, it is necessary to ask 'in what is secularism right' and where 'should it be resisted'" (the answers, as far as I'm concerned, are 'nothing' and 'everywhere', respectively). 3. His Holiness "would not have removed the excommunication from Bishop Williamson without undertaking further investigation, had he known the prelate's views on Holocaust denial". 2.1 "Official Statement Re: Bp. Williamson's 'Lawyer Affair'"
3. "Russia a 'one-party state'"
VATICAN CITY, 23 NOV 2010 (VIS) - The International Theological Commission, which is presided by Cardinal William Joseph Levada, prefect of the Congregation for the Doctrine of the Faith, is due to celebrate is annual plenary session from 29 November to 3 December in the Vatican's "Domus Sanctae Marthae". The meeting will be chaired by Fr. Charles Morerod O.P., secretary general of the commission. According to a communique published today the commission will study three important themes: the principles of theology, its meaning and its methods; the question of the one God in relation to the three monotheistic religions; and the integration of Church social doctrine into the broader context of Christian doctrine. At the end of their deliberations the members of the International Theological Commission will be received in audience by the Holy Father. 3. Mr. McCauley on the teachings and disciplinary (in)actions of John Paul II. 4. "Vic priest expects dismissal for public support of women priests"
VATICAN CITY, 19 NOV 2010 (VIS) - As part of the consistory during which the Holy Father will create twenty-four new cardinals, the College of Cardinals is today meeting in the Vatican's New Synod Hall to hold a day of reflection and prayer. The meeting began at 9.30 a.m. with a greeting from the Pope who focused his remarks on the two themes of the morning session. Considering the first of these themes, he noted that the Lord's command to announce the Gospel implicitly embraces the need for the freedom to do so, although, over the course of history, it has encountered various forms of opposition. The relationship between truth and freedom is essential but today faces the great challenge of relativism, which seems to complete the concept of freedom but which actually risks destroying it and becoming an authentic 'dictatorship'. We are then, he suggested, facing a difficult period in our commitment to affirm the freedom to announce the truth of the Gospel and the great achievements of Christian culture. The Pope also recalled the essential importance of liturgy in Church life, being the place of God's presence with us. The cardinals then turned their attention to the two chosen themes: the situation of religious freedom in the world and new challenges, with an introductory talk by Cardinal Secretary of State Tarcisio Bertone S.D.B., and the liturgy in the life of the Church today, with a preliminary contribution from Cardinal Antonio Canizares Llovera, prefect of the Congregation for Divine Worship and the Discipline of the Sacraments. Cardinal Bertone presented a panoramic overview of current attempts to restrict the freedom of Christians in various parts of the world, inviting people to reflect on the situation of religious freedom in Western States. We are witnessing, he said, a process of secularisation accompanied by attempts to remove spiritual values from social life. The Cardinal Secretary of State also elucidated the situation of religious freedom in Muslim countries, recalling the conclusions reached during the recent Special Assembly for the Middle East of the Synod of Bishops. Finally, he explained the activities the Holy See and local episcopates make to defend Catholics, in both East and West. On this subject he also recalled the great efforts made by the Holy See in the international arena to promote respect for the religious freedom of believers. For his part, Cardinal Canizares Llovera focused his remarks on the importance of liturgical prayer in the life of the Church. In the course of a broad-ranging debate, eighteen cardinal arose to speak of the great difficulties the Church has to face today in defending values founded on natural law, such as respect for life and the family. Another question examined was that of inter-religious dialogue, in particular with Islam. Two further contributions are scheduled for the afternoon session. 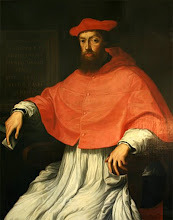 The first, to be delivered by Cardinal William Joseph Levada, prefect of the Congregation for the Doctrine of the Faith, will focus on Holy See norms for welcoming Anglican priests and faithful who request to be admitted to the Catholic Church, and for defending victims of child abuse by members of the clergy. The second contribution, by Archbishop Angelo Amato S.D.B., prefect of the Congregation for the Causes of Saints, will serve to recall the validity of the Instruction "Dominus Iesus" on Jesus Christ our only Saviour, published ten years ago. [...] Cardinal Bertone presented a panoramic overview of current attempts to restrict the freedom of Christians in various parts of the world, inviting people to reflect on the situation of religious freedom in Western States. We are witnessing, he said, a process of secularisation accompanied by attempts to remove spiritual values from social life. The Cardinal Secretary of State also elucidated the situation of religious freedom in Muslim countries, recalling the conclusions reached during the recent Special Assembly for the Middle East of the Synod of Bishops. Finally, he explained the activities the Holy See and local episcopates make to defend Catholics, in both East and West. On this subject he also recalled the great efforts made by the Holy See in the international arena to promote respect for the religious freedom of believers. Not perfect, but nevertheless refreshing in its focus on the only legitimate 'religious liberty': The liberty of the Church of Christ, namely, the Catholic Church, to preach the Gospel, i.e., Catholicism. Any other 'liberty' is really just licence. ("Around 25% of lesbian couples in Australia are currently raising children and many more are now planning families together." No source is provided for that figure, however. Over 60% of Australians support marriage equality. Not some watered-down euphemism like “civil union”, but marriage equality. 2. "White Britons a minority by '66"